The competition at the top was tight, with literally only two or three votes separating the second, third and fourth most popular manufacturers. I think this paints a wonderful picture of the competitiveness, quality and brand loyalty of the manufacturers and their products. There are currently 12 models in the Bush Lapa range, with exciting new developments coming in 2018. 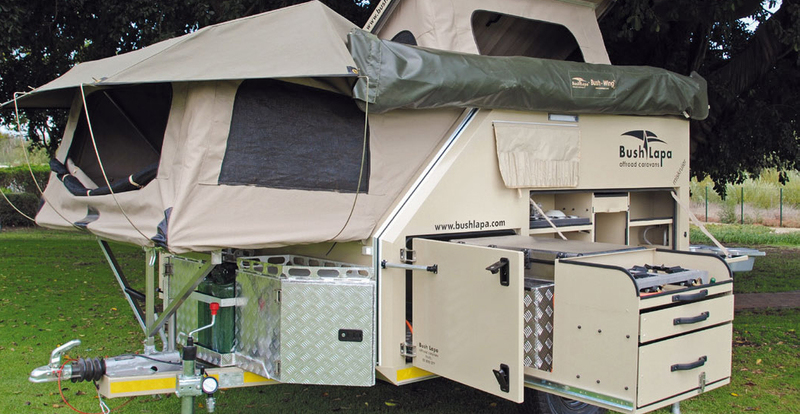 I contacted Jannie Oeschger, the owner and founder of Bush Lapa, to find out how business has been in 2017, as it was only 7 years ago that he left his engineering company to start building caravans. He is overjoyed with the increasing popularity of off-road caravans, as Jannie has sold over 1 200 caravans since their inception. If you want proof of the sales, just look at the back of any authentic Bush Lapa today – each unit is branded with its unique manufacturing number. Visit their Facebook page to see all the new happy campers who have joined the Bush Lapa craze. 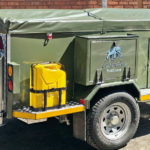 And, although well over a thousand Bush Lapas have since rolled off the factory floor in Paarl, the very first unit produced is still in action. Interestingly, Jannie does not own Bush Lapa 001. 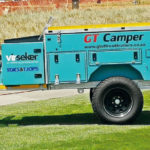 It was sold to a client from the Eastern Cape, who still takes it on adventurous holidays in South Africa as well as over the border. However, if you do spot the number 003 on any Bush Lapa, you can wave hello to Jannie’s brother in-law. It has been a busy 2017 for Jannie and his business; by November, they had expanded their dealer network by adding another four outlets (Pretoria, Randburg, KZN Waterfall and PE), and they are kicking off 2018 with the introduction of a brand new showroom between Paarl and Klapmuts. And that’s not all; by the time you read this, a couple of Bush Lapas will be on their way to Australia! 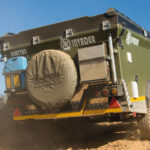 What else could I expect from a leading pioneer in the offroad caravan industry? I was looking for an perfect off road caravan for any years. We then decided on the Bushlalpa Boskriek. We then camped with it for 3 years and what a perfect product! Easy to tow, and the setup is very easy and quick. It’s also very well designed and manufactured. We just sold it and upgraded to the Ratel 4. Cannot wait to go and experience His beauty!